Congratulations to Nicholas Knopf, who successfully defended his dissertation this fall and officially received his PhD in December. Nick's dissertation, Disability, Disease, and Dissent: Embodiment as Critique of British and American Empire from the Stamp-Act Crisis to Manifest Destiny, argued that the literary representation of traditionally marginalized bodies (women, slaves, wounded veterans, the sick or elderly) served to expose the costs of imperialism, and to imply that the Empire itself (as a "body politic") was not in fact as hale and hearty as its proponents claimed. The transatlantic project was supervised by both Katherine Mannheimer and Ezra Tawil. Please join the Department in extending all our best wishes to Nick! 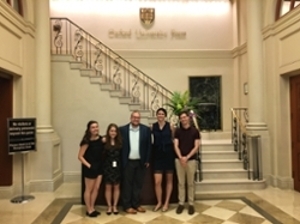 A number of students received funding this past summer to support various scholarly endeavors, ranging from work in archives, to attendance at special institutes, to conference-related travel. Some are excerpted below. English PhD students Alex Zawacki (right) and Helen Davies examine a 15th-century Italian manuscript using a multispectral imaging device. As part of their graduate studies, they are applying the tools of forensic science to the task of recovering and preserving cultural heritage objects. “Without Rochester’s silo-breaking, radically interdisciplinary and supportive institutional culture, my research would not be possible,” says Davies. 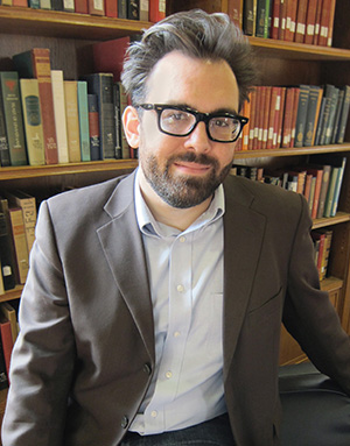 Congratulations to Matt Bayne, whose dissertation, "Tarrying with Useless Things: Reparative Readings of Victorian Social Inequality," has been selected to receive the University's 2017 Outstanding Dissertation Award in the Humanities and Humanistic Social Sciences. 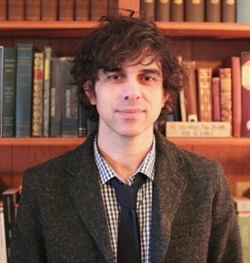 In the dissertation, which Bayne defended in the spring of 2016, he argues that Victorian authors employed images of garbage to symbolize marginalized members of society -- single women, queer men, colonized peoples, the poor -- but that, perhaps unexpectedly, the metaphor works "reparatively," helping, ultimately, to endow these populations with positive value. Bayne completed the dissertation under the supervision of Professor Bette London and Professor Supritha Rajan. He is currently working at the college's Writing, Speaking, and Argument Program in the role of Writing Placement Coordinator. 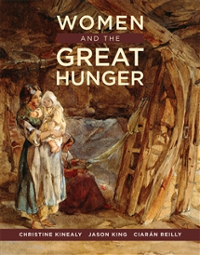 Congratulations to MA student Matt Skwiat, whose work (originally a conference paper) will be featured in Women and the Great Hunger, a collection of essays forthcoming from Cork University Press. Matt's essay re-evaluates the poetry of Jane Elgee (later Jane Wilde, mother of Oscar Wilde), putting her verse into dialogue with the English Romantic poets, and arguing for its influential role in shaping the poetry both of William Butler Yeats and of Oscar Wilde himself. 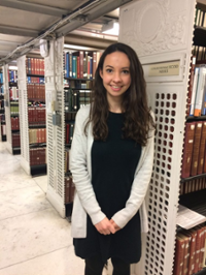 Congratulations to PhD student Anastasia Nikolis, who is spending the 2016-17 academic year as an intern for the Library of Congress's Poetry and Literature Center, while also undertaking research for her dissertation. 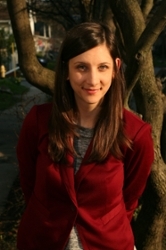 Anastasia was recently invited to write a guest blog post about her scholarly work, and the ways in which it is supported by the LoC's resources: http://blogs.loc.gov/catbird/. MA student Matt Skwiat spent the summer interning at the Oxford University Press's New York City offices, where the work ranged from finding appropriate reviewers for manuscripts, to seeking copyright approvals for images, to gathering the relevant materials for marketing, production, and distribution. Interns also interacted with editors in Oxford's trade and reference divisions. Congratulations, Matt, on being awarded -- and making the most of -- this wonderful opportunity! Erin Palombi (Selznick MA 2016) has been hired by the National Audio-Visual Conservation Center - part of the Library of Congress, and home to the world's leading collection of films, television programs, and radio broadcasts. In her role as a Library Processing Technician, Erin will work with moving-image artifacts as they move through the Center's detailed inventorying and inspection process. Congratulations to Erin as she begins her new career! Congratulations to Jenny Boyar, who has been selected to serve as a postdoctoral fellow in the UR's Writing, Speaking, and Argument Program. Starting this fall, Jenny will be teaching two sections of a composition course of her own design, entitled "Narratives of and as Medicine," to first-year students. Michelle Dinh (MA 2015) is delighted to report that she will be entering the University of Washington's PhD program in English this fall. Michelle writes that UW was her "dream school," not least because of its rich resources in science-fiction studies -- an interest she was able to foster here at Rochester while taking Rosemary Kegl's graduate seminar on Utopian literature. Congratulations, Michelle! 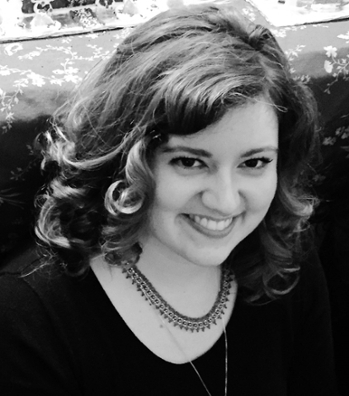 Congratulations to Emily Kohlhase, who, in winning this year's Julietta Wolf-Foster Award, has been recognized as an outstanding Writing Consultant within the college's Writing, Teaching, and Argument Program. Recipients of the award are chosen based on student nominations. The University Dean of Graduate Studies has named Anastasia Nikolis as one of this year's recipients of the Edward Peck Curtis Award for Excellence in Teaching by a Graduate Student. The award honors her exceptional work with students in the Writing, Speaking, and Argument Program. Congratulations, Anastasia! 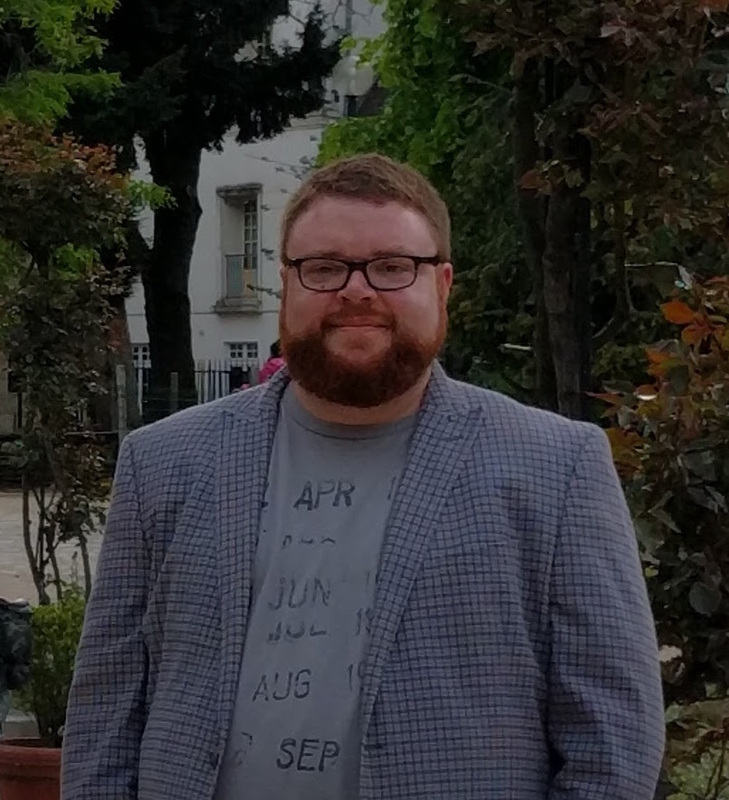 After serving for the past year as a Visiting Assistant Professor in the English Department at SUNY Cortland, Geoffrey Bender (PhD 2012) will be joining the tenure-track faculty in the fall. 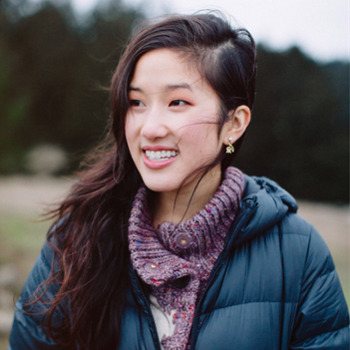 Congratulations to Kate Norako (PhD 2012), who will enter a tenure-track position in the University of Washington's English Department this fall. For the past two years, Kate has held a post-doctoral fellowship at Stanford University, teaching in their "Thinking Matters" program. She is currently at work on a book entitled Imagining the Crusades in Late Medieval England, as well as a forthcoming critical edition of the Old Norse Magnussona Saga. Joe Vogel (PhD 2014), Assistant Professor of English at Merrimack College, appears as a featured commentator in Spike Lee's new Showtime documentary, Michael Jackson's Journey from Motown to Off the Wall. The film examines the creation and lasting impact of Jackson's first adult solo album. A teaser (in which Joe is speaking!) can be viewed here: http://www.sho.com/sho/video/titles/43917/iconic-yell-michael-jacksons-off-the-wall-spot. 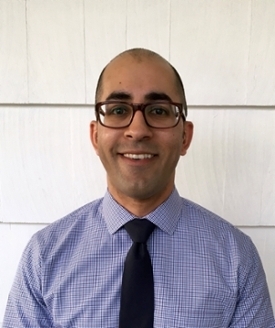 The English Department is delighted to announce that an essay by Joseph Lamperez, entitled "The Aztecs and Urban Form in Bataille, Rivera, and JG Posada," has been accepted for publication in Mosaic: A Journal for the Interdisciplinary Study of Literature. Examining the representation of the Aztec in the work of Georges Bataille, Diego Rivera, and Jose Guadalupe Posada, the essay argues that this figure serves to critique various aspects of modernization. 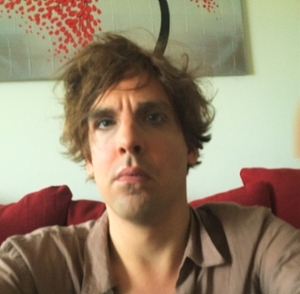 A hearty congratulations to Joe Vogel (PhD 2014), who has recently accepted a tenure-track job as Assistant Professor of Contemporary American Literature and Film at Merrimack College. In addition, Joe has three new articles appearing this year: in the F. Scott Fitzgerald Review, the Journal of Popular Culture, and the Journal of Popular Music Studies. 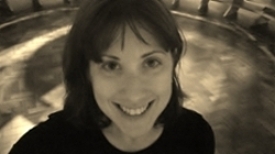 The English Department extends its warm congratulations to Leah Haught (PhD '11), who has just accepted a tenure-track medievalist position at the University of West Georgia. 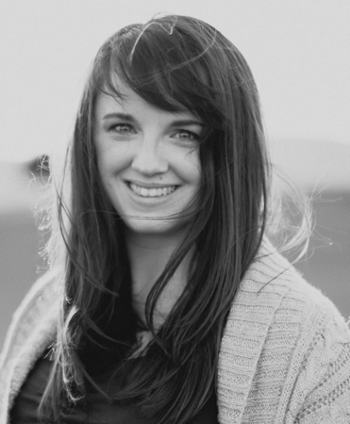 Leah joins UWG's English Department from Georgia Tech, where she has been serving as a Marion L. Brittain Postdoctoral Fellow for the past three years; prior to that, she held a postdoctoral fellowship in the U of R's Writing, Speaking, and Argument Program. PhD candidate and Blake-Archive contributor Nikolaus Wasmoen has been appointed Project Manager for the recently-launched ModNets (short for "Modernist Networks"). The latest addition to the consortium of scholarly digital projects that includes the well-known NINES and 18thConnect, ModNets intends to offer peer review of digital modernist projects, to aggregate scholarly resources in the field, and to render easily searchable the full range of digital publications that traditional libraries tend to omit from their indices and collections. 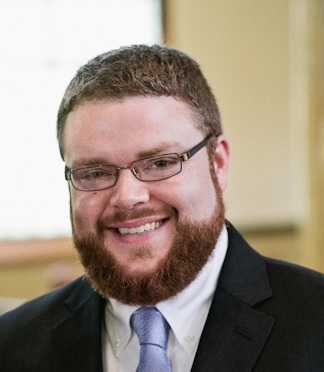 Dan Hutchins (PhD '13) will begin a new tenure-track position at Texas Tech University this fall. 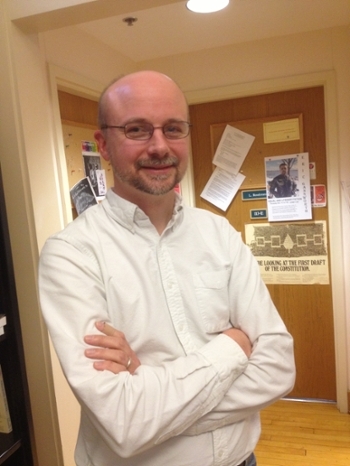 Dan joins Texas Tech from North Dakota State University, where he has been serving as a Visiting Assistant Professor, and where he has specialized in early American literature, Latin American studies, and critical theory. 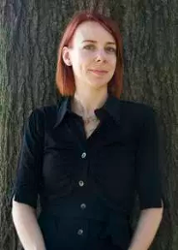 Congratulations to Martha Johnson-Olin (PhD '14), who has recently accepted a full-time, tenure-track faculty position at Potomac State College (a division of West Virginia University). Johnson-Olin's dissertation, in which she places Middle English Romance in dialogue with early folklore and fairy-tale traditions, was completed under the direction of Professor Russell Peck. Congratulations to Esther Arnold and Peter Zogas, recipients of the 2014 William H. Gilman Memorial Prize. The Gilman is awarded annually by the English Department to a graduating PhD candidate whose work in English or American literature has been deemed truly outstanding. Congratulations to Kate Norako (PhD '12), who will embark this fall on a three-year postdoctoral fellowship at Stanford University, teaching sections of the college's required freshman-seminar program, "Thinking Matters"
The English Department congratulates Esther Arnold, one of two graduating PhD students in the Humanities this year whose dissertations received official Commendations for excellence from the University's College of Arts and Sciences. Arnold's dissertation, "Entertaining Reformers: Social Reform and Recreation in American Literature and Silent Film, 1840-1915," was written under the direction of Professor John Michael. PhD students from any department or program who are traveling to conferences may apply to the University Dean of Graduate Studies for reimbursement of airfare and conference registration costs up to $800. Priority will be given to Sproull and Provost Fellows, and to students who are the main or sole author of the work to be presented. The University of Rochester is a member of the Folger Institute Consortium; our faculty and students receive preference in admissions, and are eligible to receive grants-in-aid to support their travel and lodging while attending Folger Institute events. 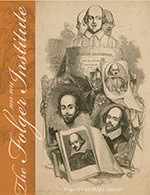 The Institute’s interdisciplinary programming immerses participants in the Folger Library’s holdings, most famous for their Shakespeare-related materials but which include hundreds of thousands of books, manuscripts, and visual objects pertaining to early modern Western culture most broadly conceived (British, Continental, American, and Transatlantic).